New Year Resolution, 2018 – Say NO to Procrastination! Haven't you been putting off renewing your motor insurance for a while now? Well, it's time you renew it. Yes, we are all caught in the web of procrastination- rightly called ‘the thief of time'. And we need to break it. Cause whether you are ready or not they are coming for you. Read on to know who! New Year Resolution - Do it now, sometimes later becomes never! It's New Year's Eve and you are- all decked-up and heading towards the New Year bash that you've been eagerly waiting for with a bunch of friends. And a traffic cop stops your car. OOPS! You do not hold a valid motor insurance. Suddenly you go into a flashback thinking how your mother has been reminding you a million times to renew your motor insurance. But all of it, of course, has fallen on deaf ears. What a festive-mood spoiler would that be! And just look at the mess you have put yourself into. Add to it you might end up coughing up a hefty fine of Rs 1000 with a possible jail term of up to 3 months. Why should we always learn things the hard way? Isn’t it better to stay away from legal hassles and lead an uncomplicated life? As we all know that motor insurance is mandatory in India as per Motor Vehicles Act, 1988 and driving without a valid motor insurance is an offence. But unfortunately, there are quite a number of vehicles plying on Indian roads without even the mandatory third-party insurance. Reportedly, about 6.5 crore vehicles have insurance cover against approximately 21 crore registered vehicles in India. So, in a bid to track offenders, the Road Transport Ministry has asked insurance companies to share details of insured vehicles with the government. What Does the Road Transport Ministry Plan to Do? Currently, traffic cops need to stop the vehicles and physically verify whether they have an insurance cover or not. But now the Road Transport Ministry plans to host the data on uninsured cars and two-wheelers on an e-platform that can be easily accessed by every state transport department. This will help the traffic cops to crack the whip on offenders who do not renew their motor insurance. The saying ‘You can run but cannot hide’ would be apt for us in this situation. Let's not be a victim of procrastination anymore. 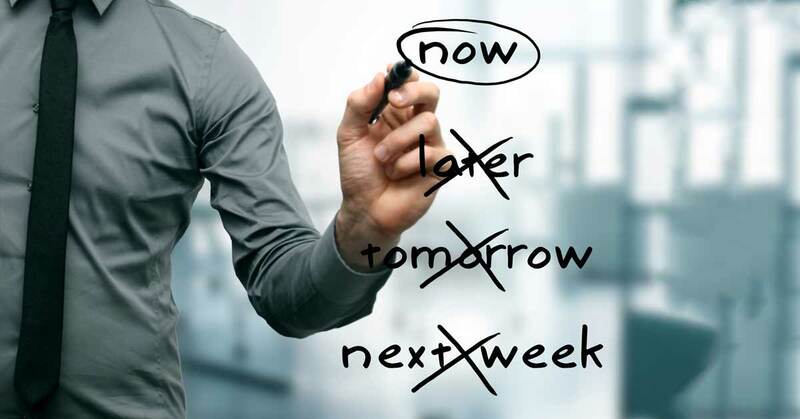 Doing away with procrastination should be your top-most new year resolution. And what better way to start with than renewing your motor insurance. You could save yourself and your loved ones a lot of inconvenience. Make sure you end 2017 on a good note and start the new year on an even better note. Get Motor Insurance, Get Going. Happy New Year! Chaitali Mehendale is an avid reader, blogger and traveller. When she is not busy writing stupendous content, she prefers to explore new places and meet new people!